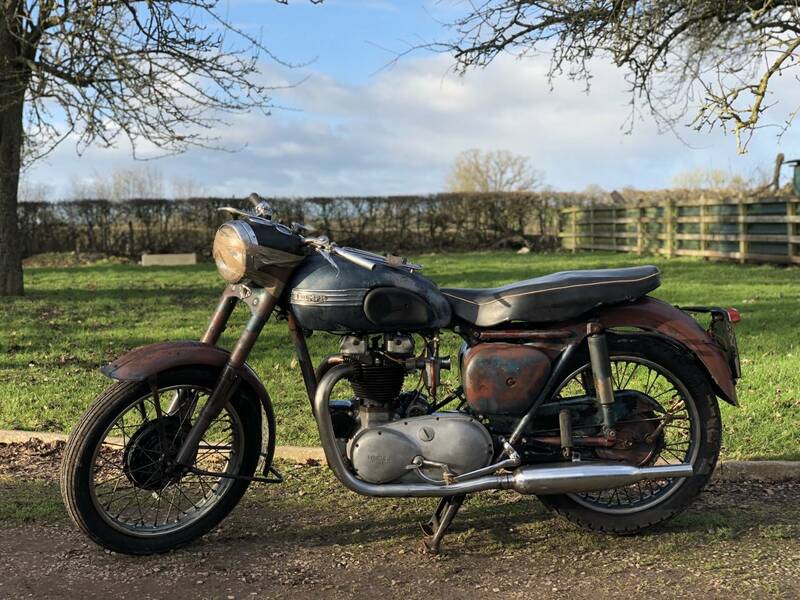 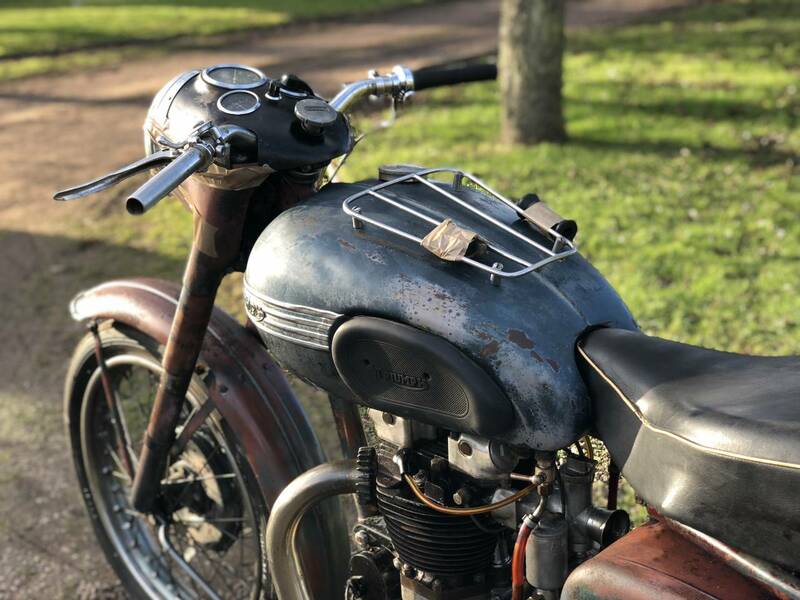 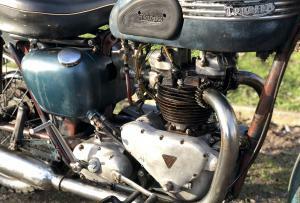 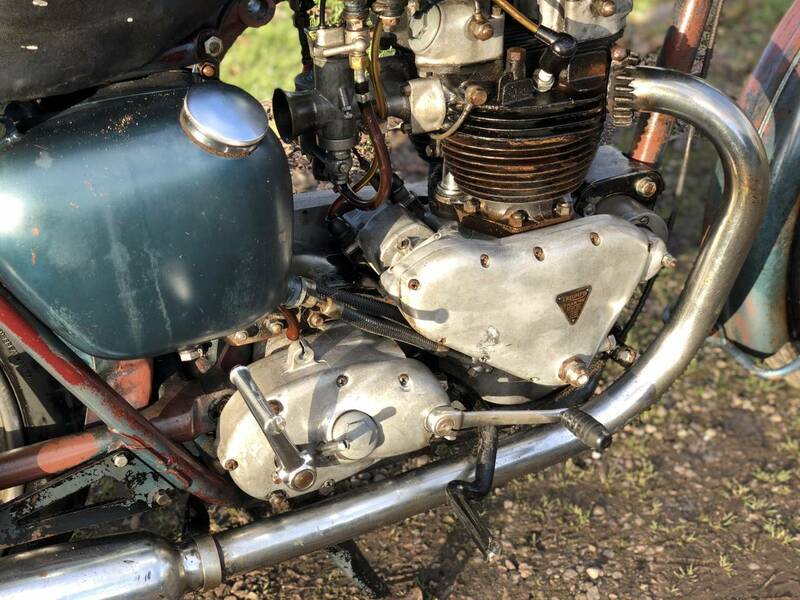 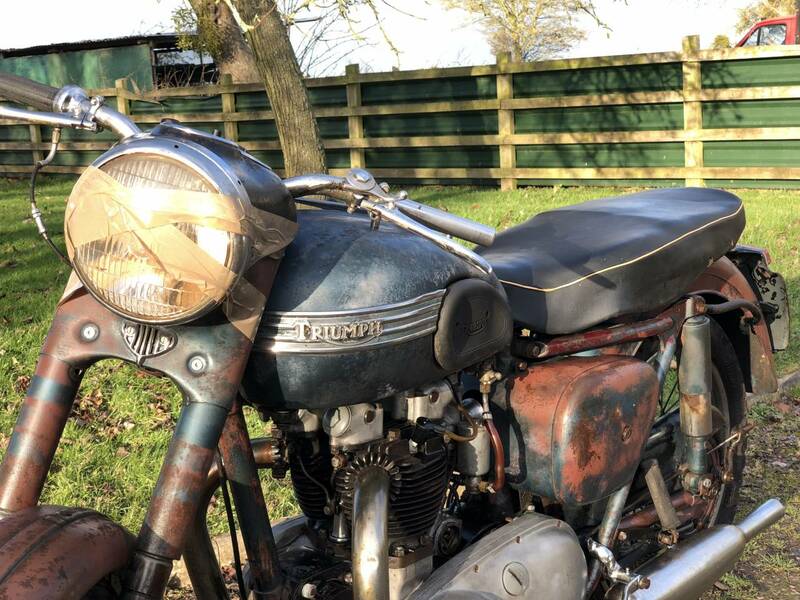 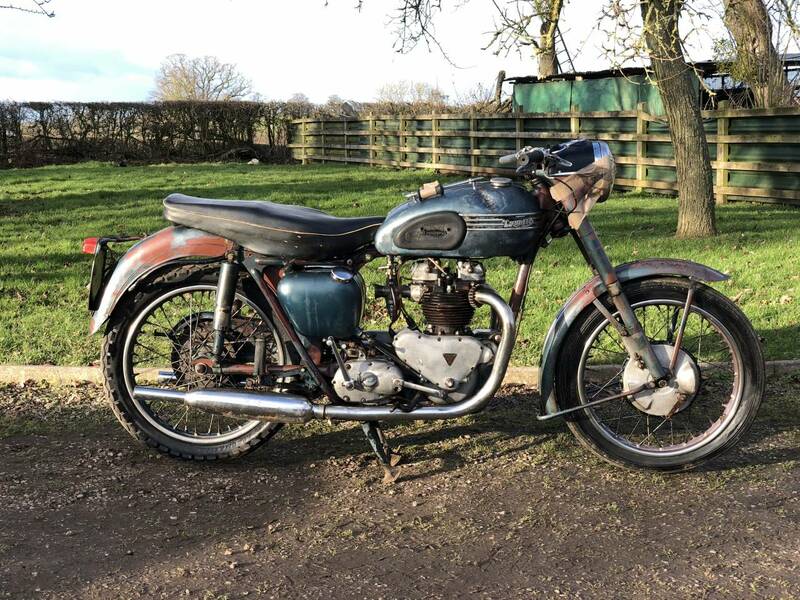 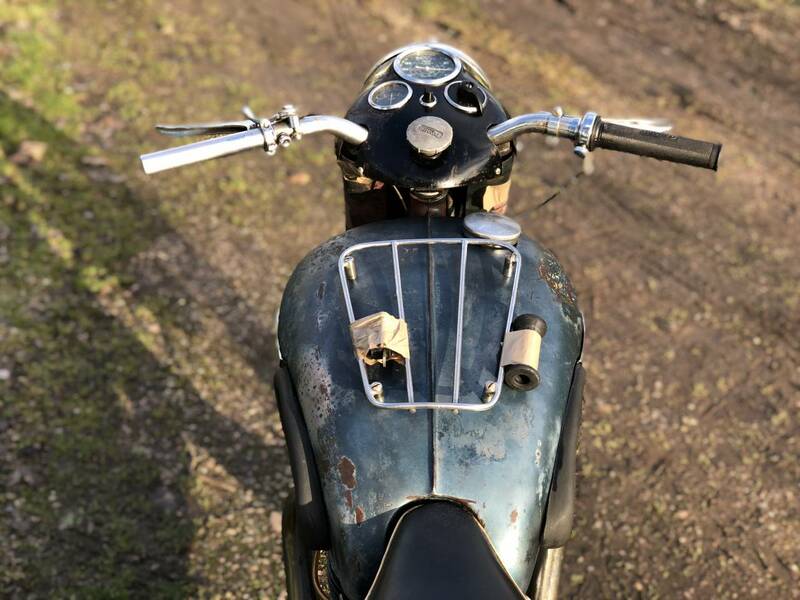 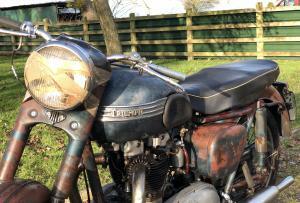 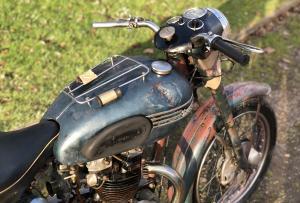 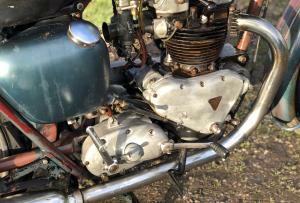 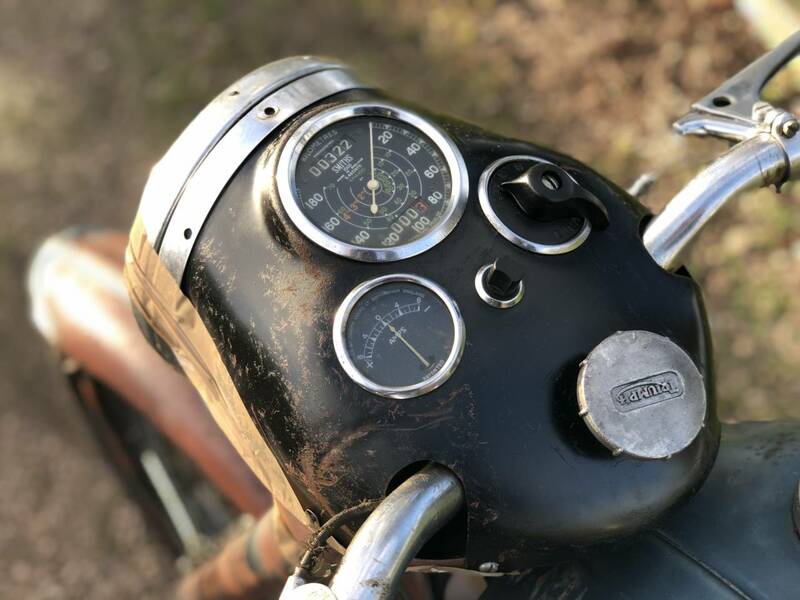 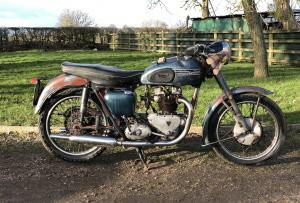 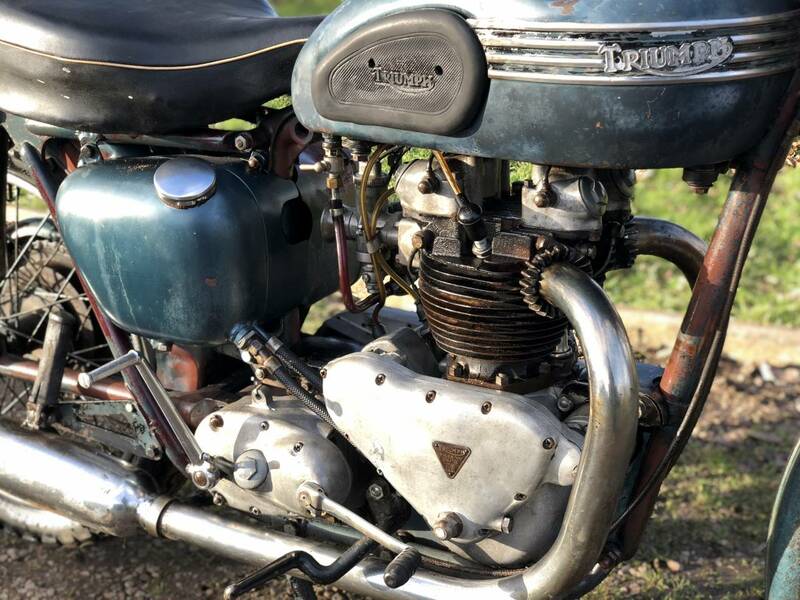 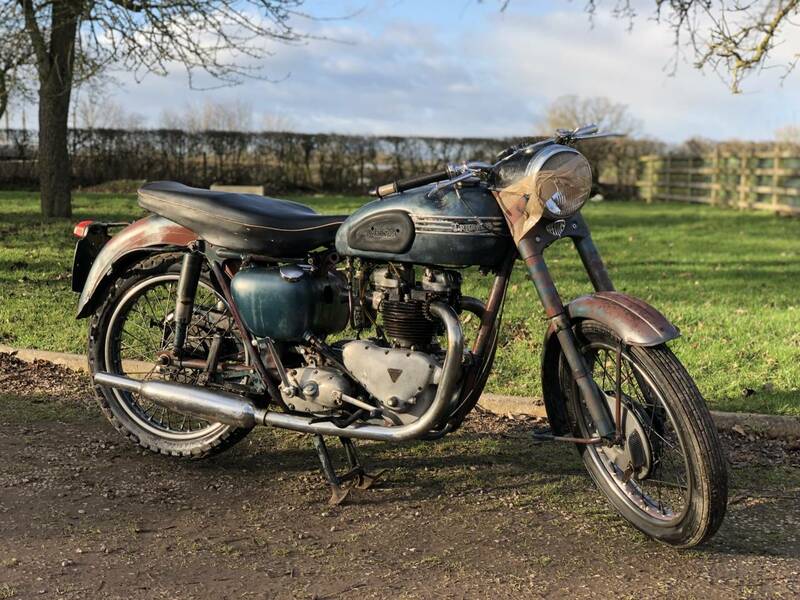 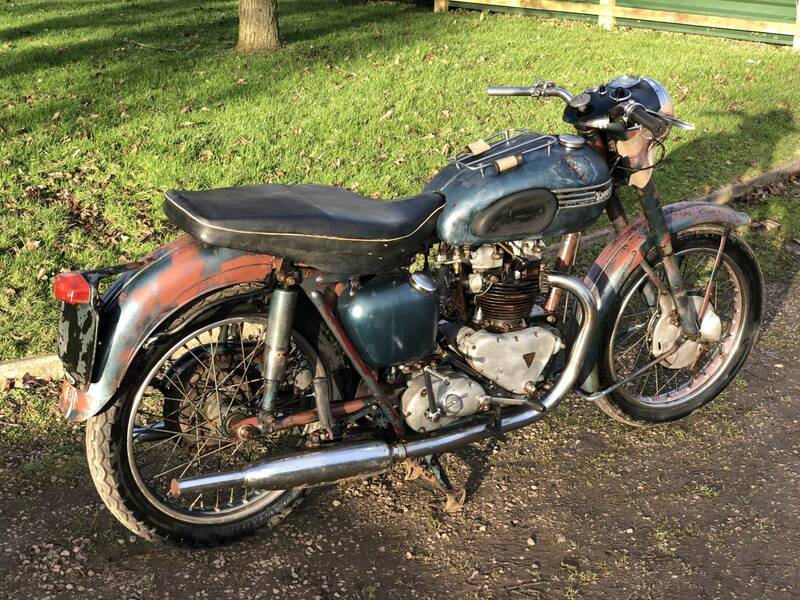 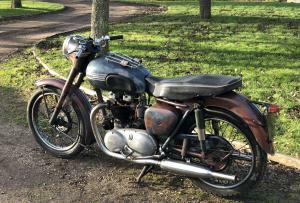 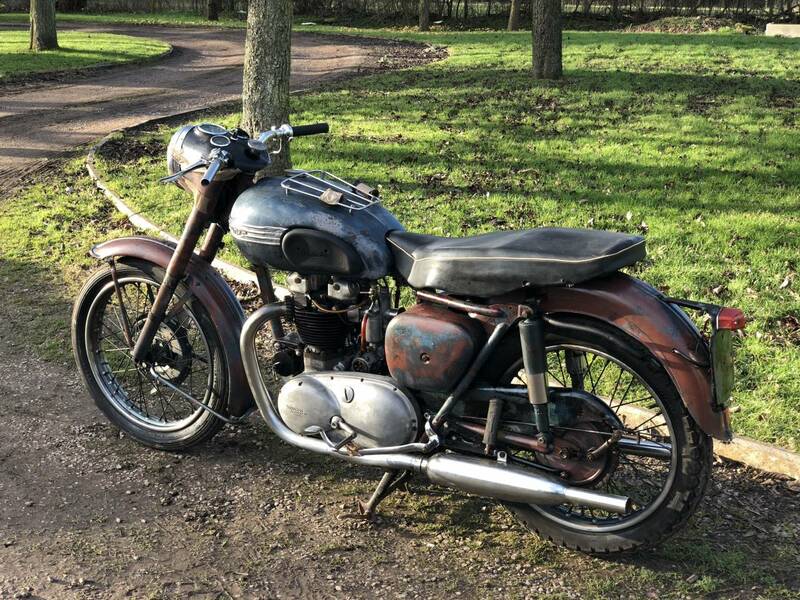 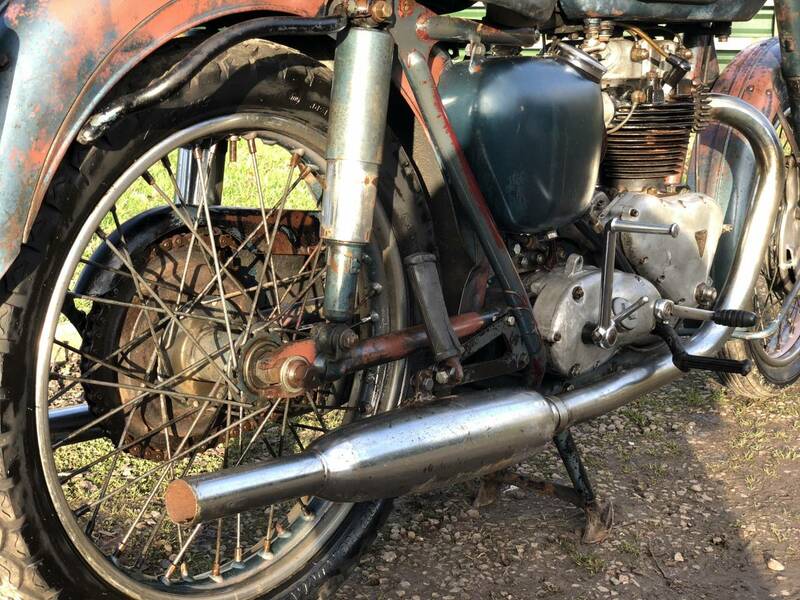 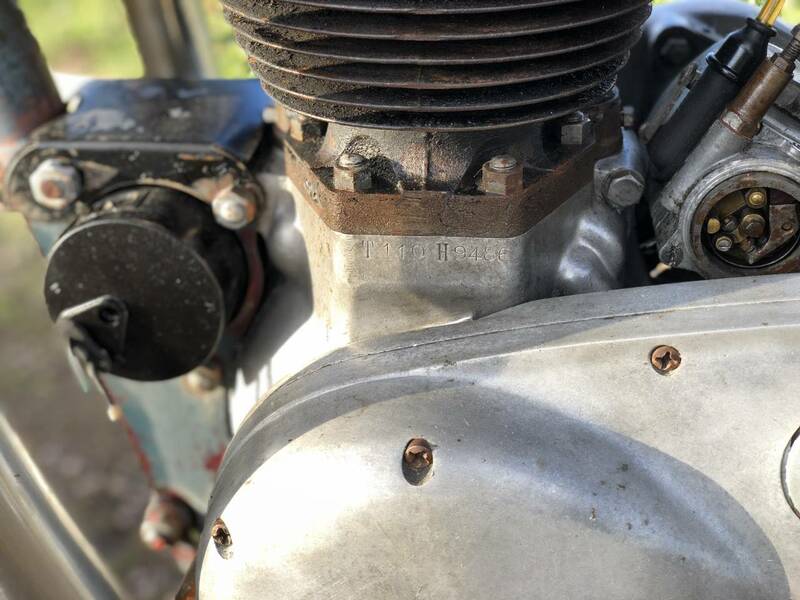 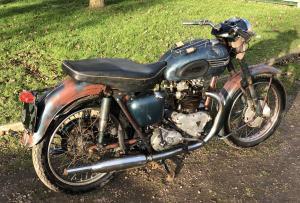 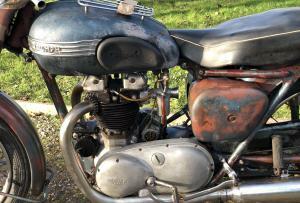 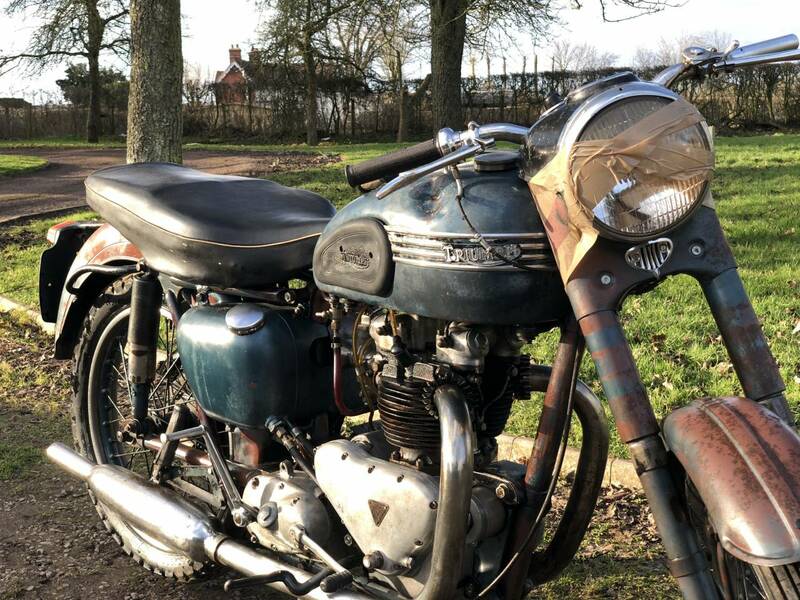 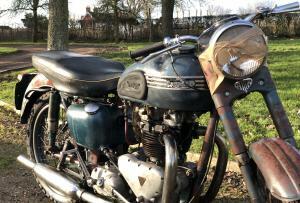 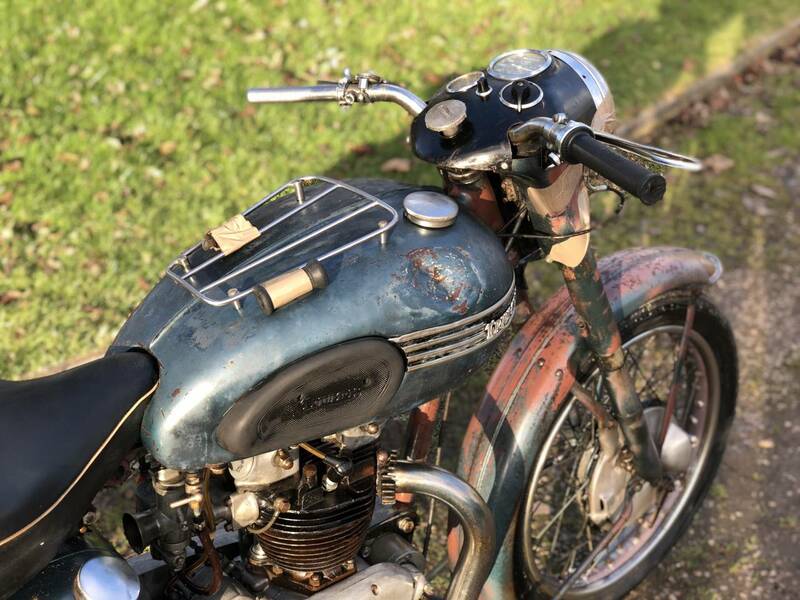 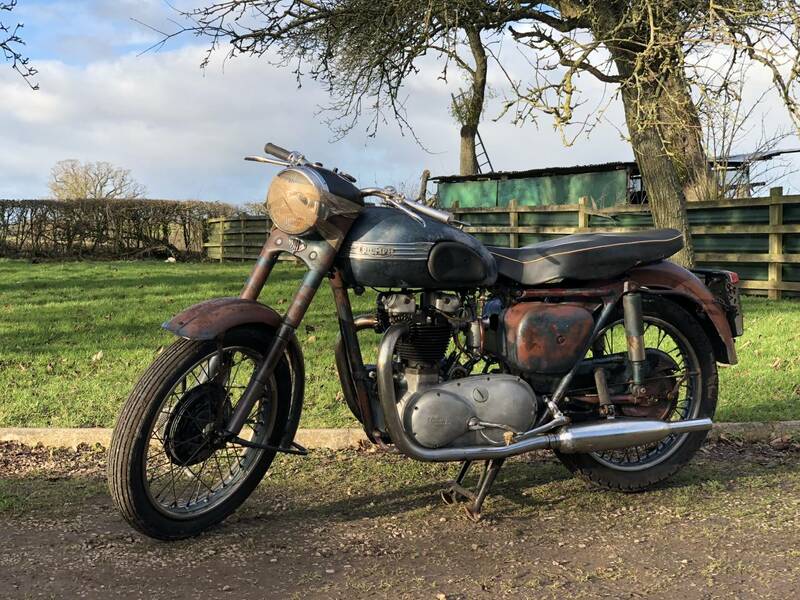 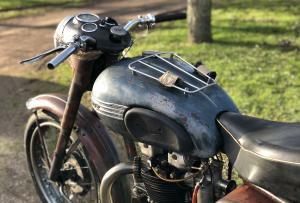 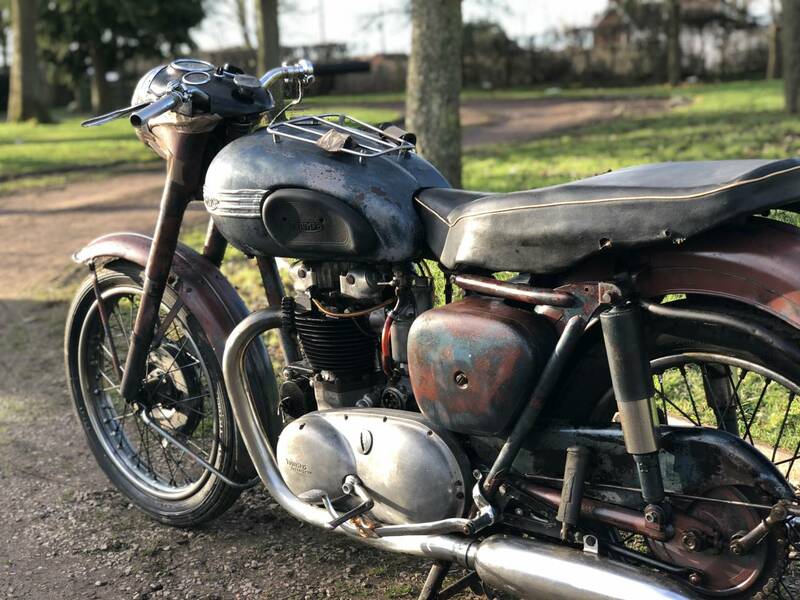 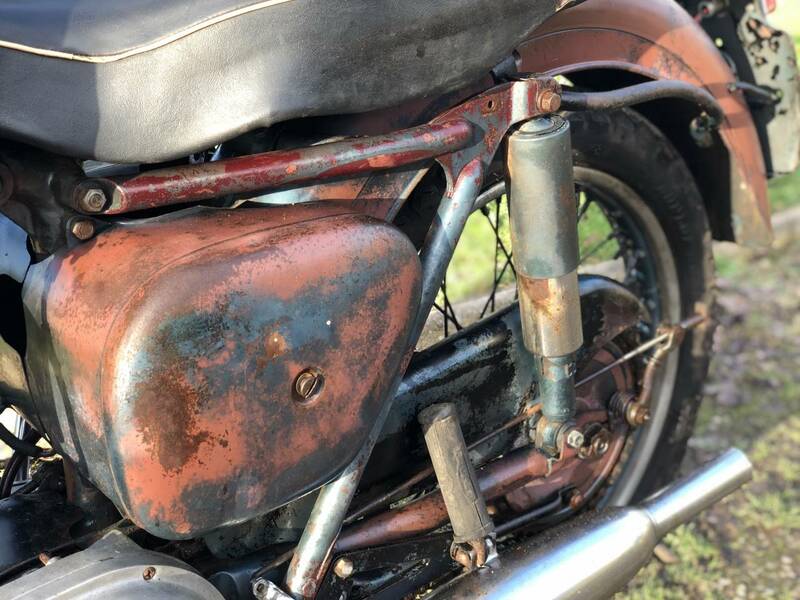 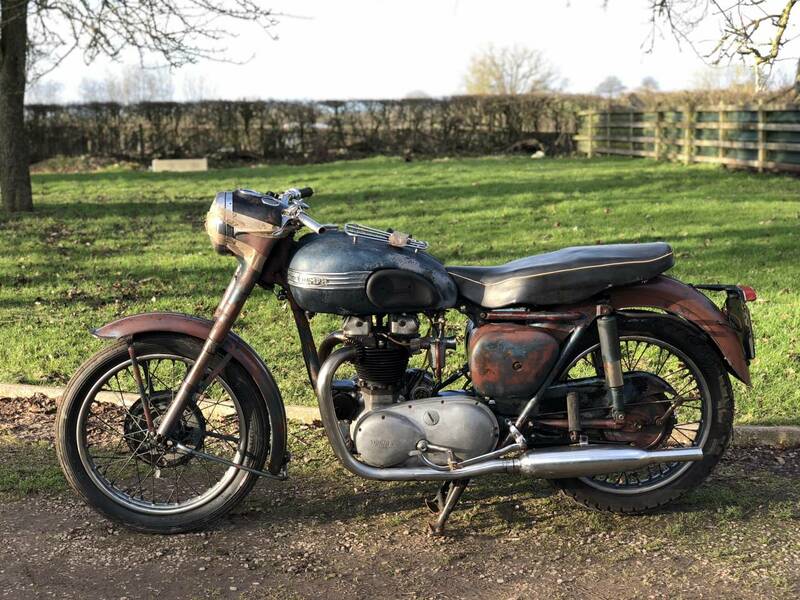 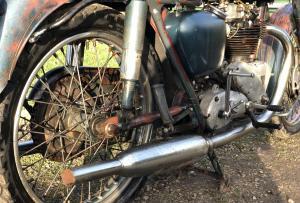 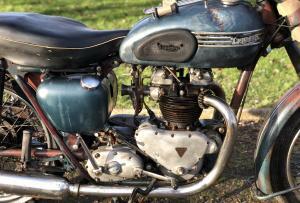 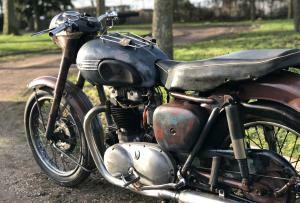 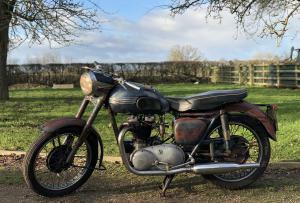 Triumph T110 1955 650cc. 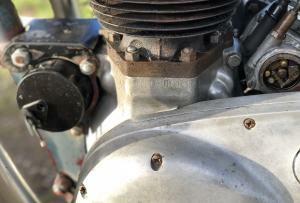 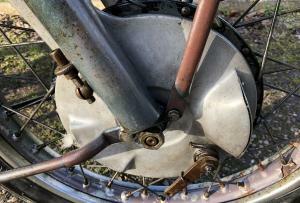 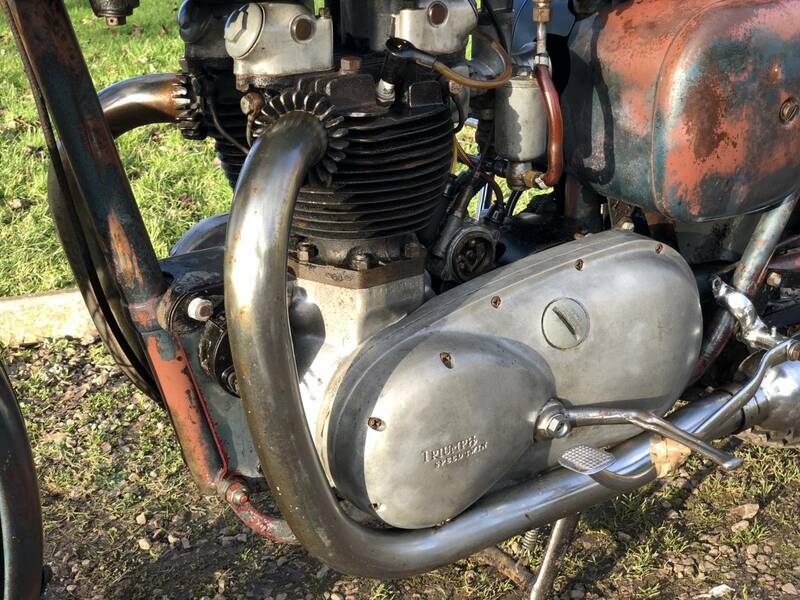 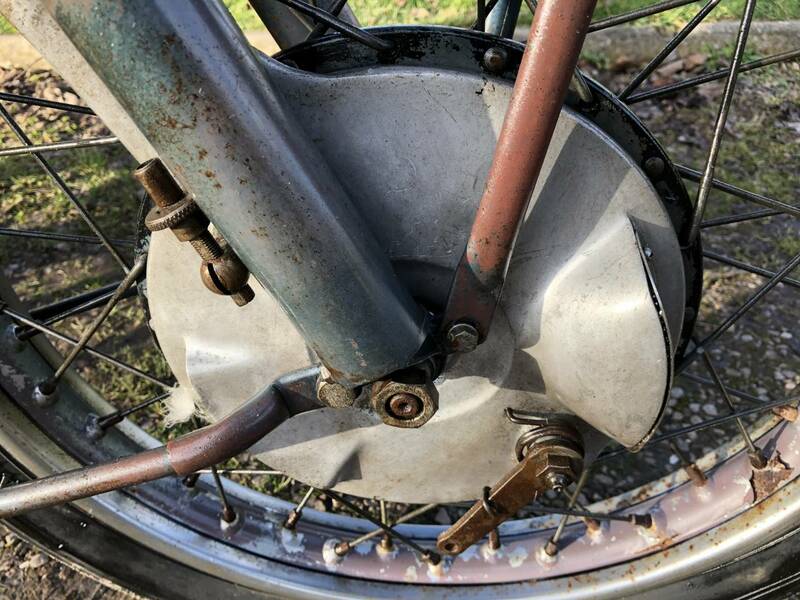 A Very Early Big Bearing Engine , With Vented Front Brake And Strip Badge Model Tank . 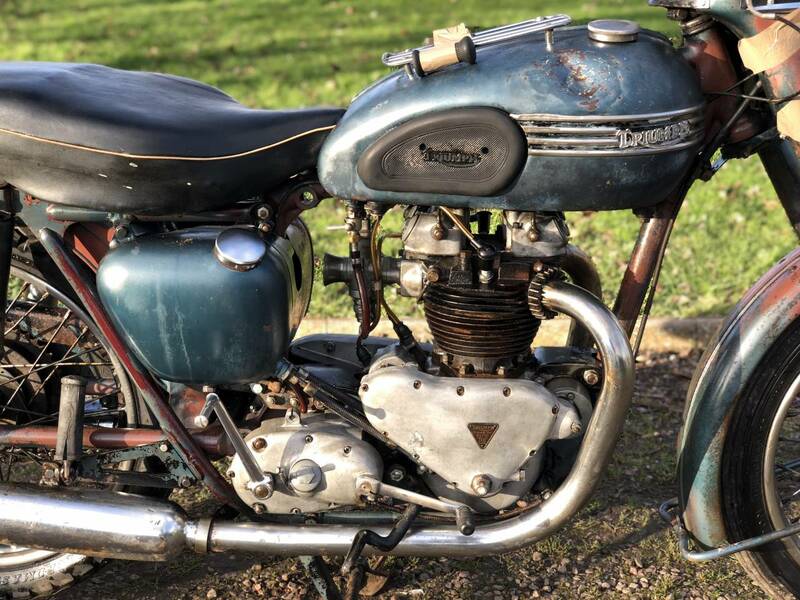 This Is A Very Rare , All Original Rolling Project With Good Compression. 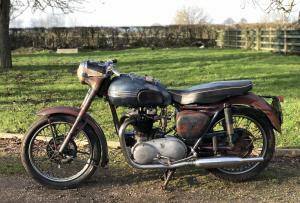 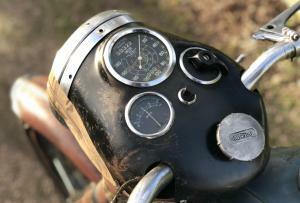 Comes With Matching Numbers And With Lovely Patina. 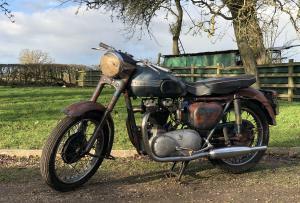 Hasn't Started In Over 30 Years , But It Was Stored In A Warm And Dry Unit For This Time. 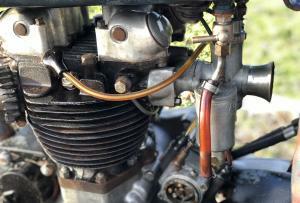 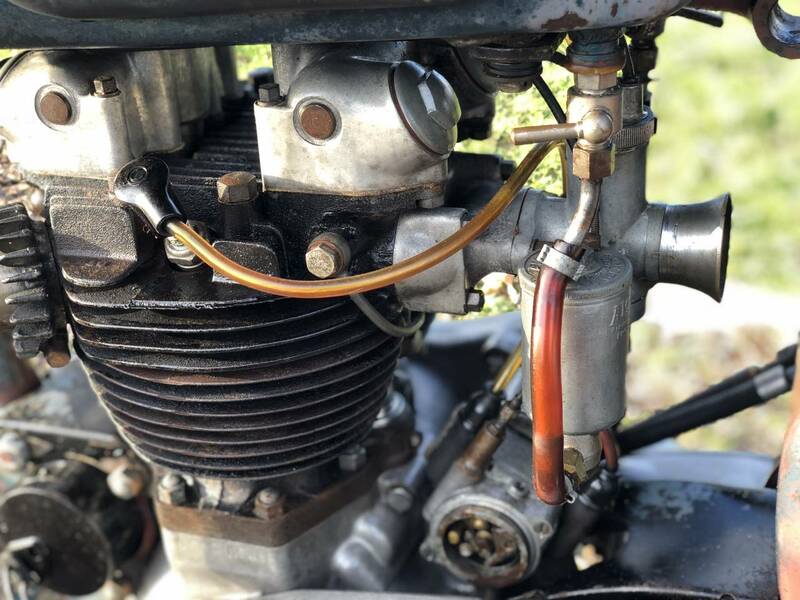 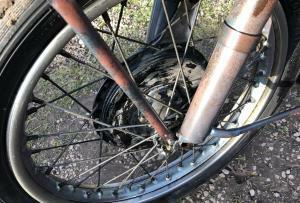 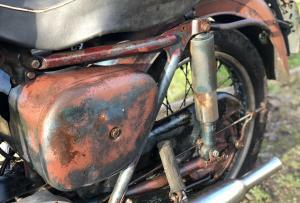 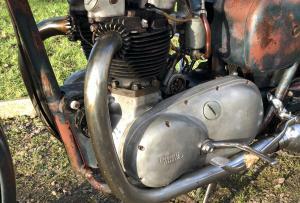 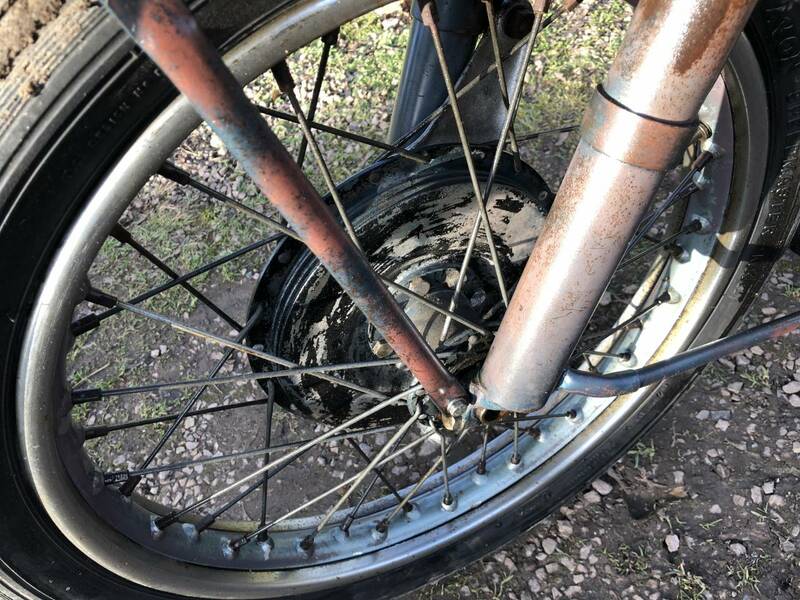 The Engine Was Also Oiled Up Before The Bike Was Stored . 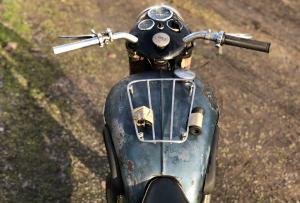 Comes With NOVA Conformation And Austrian Registration Document. 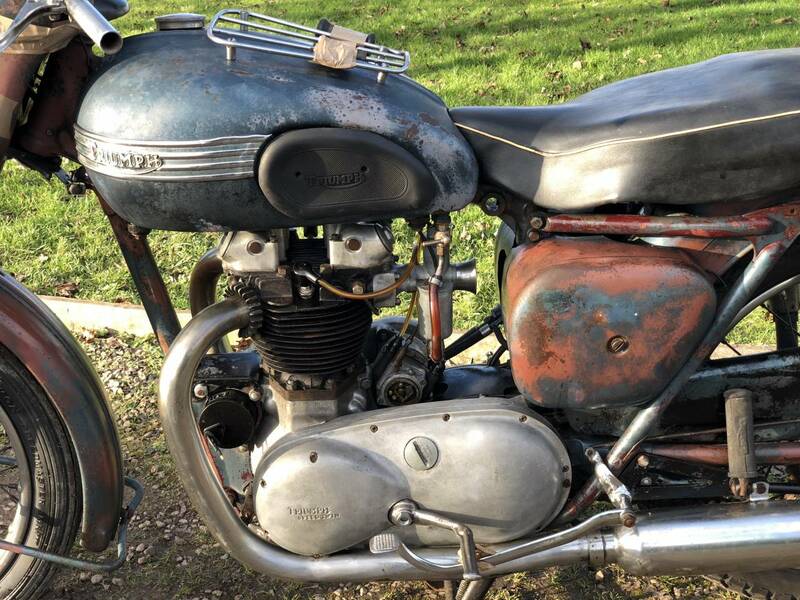 A Wonderfully Original Rolling Project !